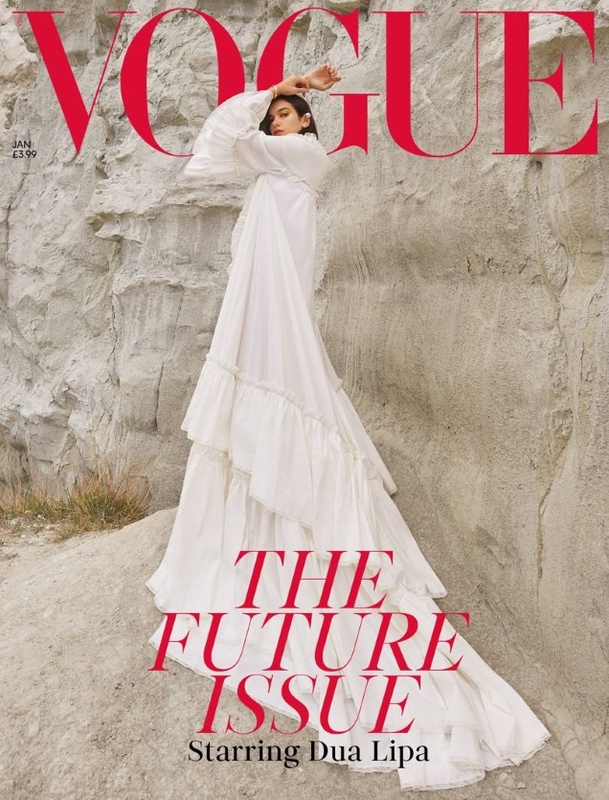 We were pretty content with our copies of British Vogue‘s December issue — that is, until the magazine decided to release its first offering for 2019. 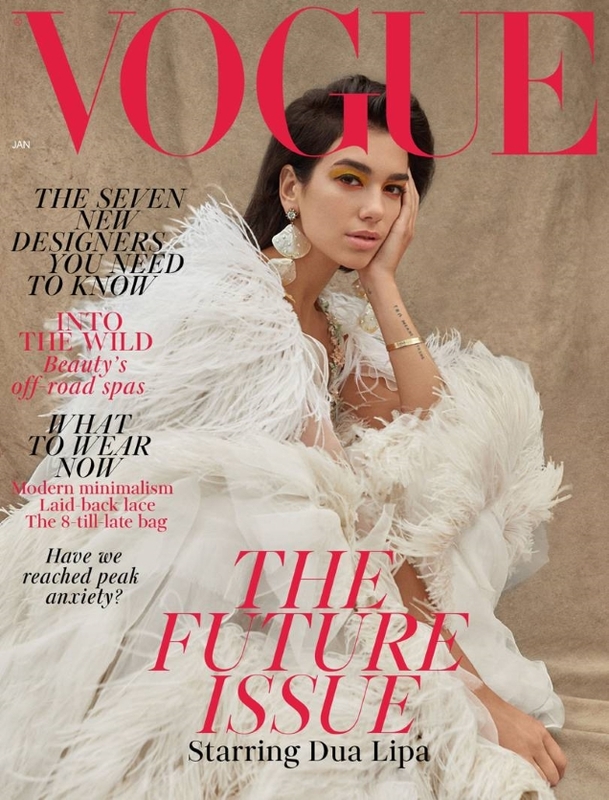 Confirming our suspicions about Edward Enninful’s choice of cover girl, Dua Lipa makes her debut on the British fashion bible for January, after first appearing on the cover of Vogue Turkey back in April. Not only does this mark her second Vogue cover appearance overall, but it’s also the first time a black female photographer has shot the cover of the magazine. Nadine Ijewere captures the Brit singer/songwriter in a white feathered Gucci number for the newsstand cover (below) and a white ruffled Gucci maxi dress for the special subscribers cover (after the jump), both styled by Kate Phelan. Despite the best efforts from everyone involved, members of our forums weren’t exactly elated over the outcome. “A bit disappointed. I wish it was a little more zoomed in and had a different makeup,” voiced Marc10. “Couldn’t they have zoomed in and make it half-decent? The hair and makeup isn’t helpful either,” Srdjan echoed. “I knew this moment would come and I knew that I would hate it. I can’t stand this girl anyway, especially wrapped in feathers and with a tacky art direction. Next,” slammed ghostwriter10549. “Super thrilled to see Dua Lipa, but this is a miss. Can’t believe they did her wrong. She’s a stunning girl with a strong face. They could have done something so much better than this,” said guimon. “Glad to see a new photographer, but Nadine’s work is not Vogue,” pointed out TZ001. Check out some previews of the issue and share your thoughts here.